Kenny started his career at Hartlepool United, but after his release, joined Bishop Auckland. 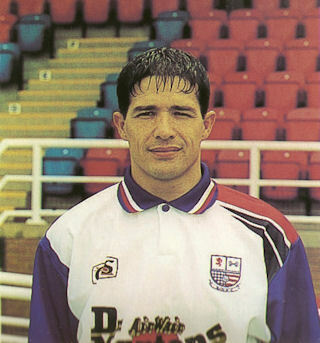 He then joined Gateshead in the summer of 1994, earning a high reputation as a left back, and earning three England semi-professional caps. 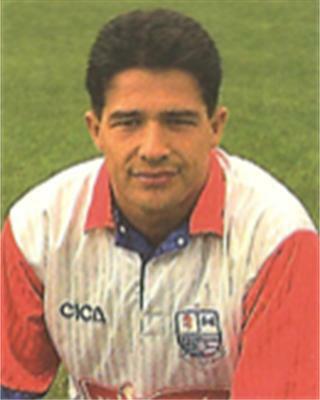 Kenny arrived at Nene Park from Gateshead in June 1996 for a reported £40,000 transfer fee, and was a regular in the side during the following two seasons. Able to play at left back or left sided midfield, he had a spell as captain before a series of injuries restricted his appearances in the 1998/1999 and 1999/2000 season, and he left the club at the end of that season. Despite strong rumours he was to join Barrow, on 15 May 2000 he joined Boston United, but his spell there was less than successful. He went on a one month loan to Ryman’s Premier side Slough Town in September 2000, before a similar loan spell with Farnborough in October. After his returned, his contract was cancelled on 6 December 2000 in order for him to return to the North East. He rejoined Gateshead, but left in February 2001 to join Whitby Town. He joined Durham City the following season, before rejoining Gateshead in October 2002 as player / assistant manager (to Derek Bell). He left the club in June 2003 due to increasing work commitments, having played 121 games for his hometown side Gateshead, scoring 15 goals in his three spells with the club.